Mike Tyka is an interesting artist for a number of reasons, one of which is that art is only part of his work. Not only does he work in a wide variety of media, he's also an engineer at Google working on their neural network program. As you may or may not remember, the part of the project we find the most fascinating is the Deep Dream image processing algorithm, which we've written about extensively. Tyka was involved in the very initial stages of the entire Deep Dream project, and was among the first to get the chance to play around with it from an artistic perspective. He also had four pieces featured in the Google Deep Dream art show that auctioned off pieces created with the system, including one that has one of the most appealing names of all the pieces in the entire show: Ground Still State of God’s Original Brigade. The piece itself isn't one of the better ones in the show, but the name is top-notch. What makes it even more curious is that it wasn't completely of Tyka's devising: the same neural net that enabled the pieces was used - albeit in a slightly different way - to generate the names of the pieces themselves. Tyka has a fairly extensive career outside of the whole Deep Dream project, which is arguably more of a conceptual art piece than something that generates a particularly attractive output. 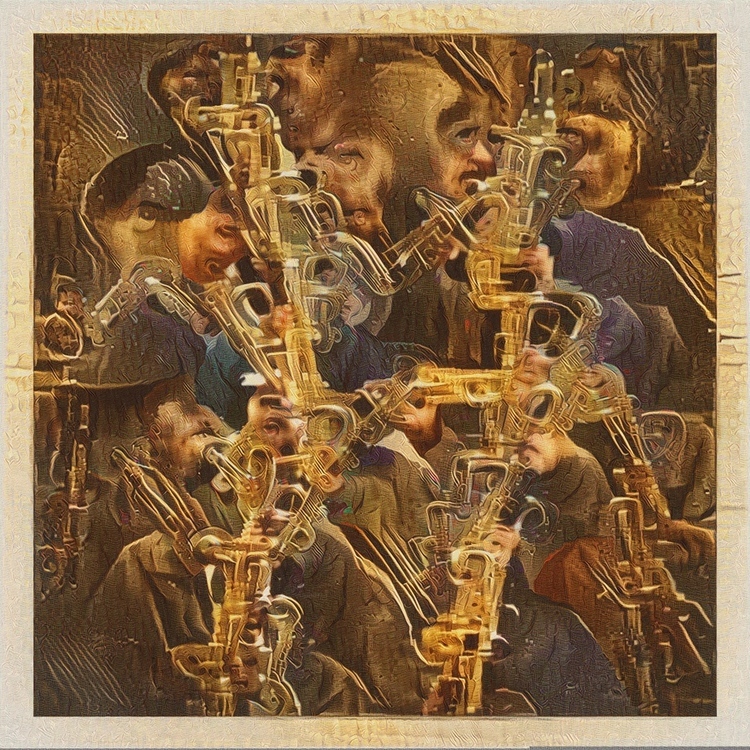 There are exceptions of course, such as the piece 'Instrument 3' attached to this post, but most of the neural network pieces are less visually appealing. Unsurprisingly, he's been fascinated by interactivity and motion-responsive work, but also with sculpture. As a collaboration with several other artists, he helped design and construct the massive interactive piece Groovik's Cube, which is a collaboratively-solvable gigantic version of the classic Rubik's Cube puzzle. A crowdfunded effort, it recently made an appearance at the massive festival-slash-performance art piece known as Burning Man. This isn't his only foray into the world of sculpture, as he has created a vast body of work in various types of metal. Blending both science and art in his practice, his sculptures are intricately crafted examples of protein synthesis, a seemingly-sterile yet remarkable engaging series. .
"Life is a dynamic equilibrium of creation and destruction. Inside our cells the protein nano-machines, to which we owe our distinction from the inorganic, are perpetually recycled and rebuilt, forever battling the inevitable fate of entropic decay." If that's not an artist statement, I don't know what is.